This is one of my go to recipes I have been making for years. It is very versatile because you can add any kind of vegetable and protein you happen to have on hand. Add some pasta and sauce, top with some great cheese and you have a very delicious meal. Just saute your vegetables and protein, add them to your sauce. 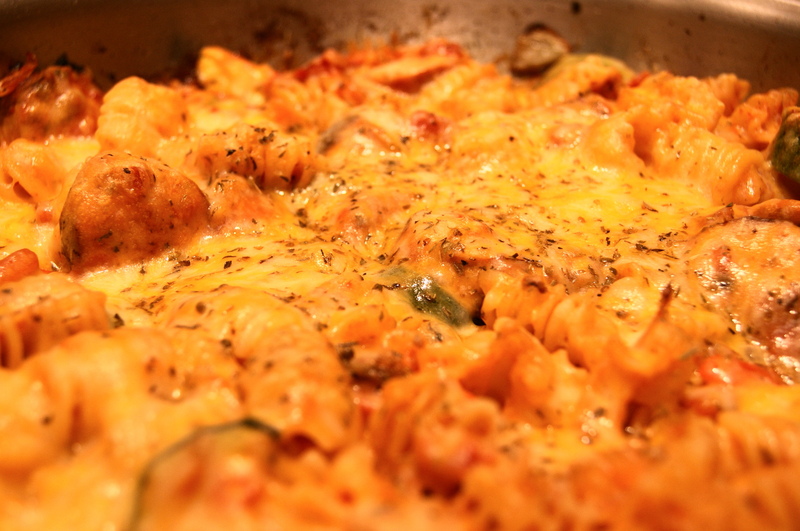 Combine the sauce and the pasta, top with cheese and cook at 375 until the cheese is melted just the way you want it. This is a great way to clean out the refrigerator and have a delicious dish at the same time.